Sericite Mica is a type of mica, belongs to a silicate mineral with a layered structure. Used in rubber, plastics, paints, paints, ceramics, insulation, cosmetics, pigments, paper, metallurgy and other industries. 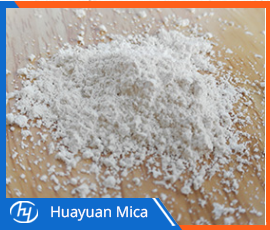 Here are some of the things that the Sericite Mica Supplier has summarized for you. 1. Greatly raise the strength of the product, and reinforce it to the extent that it is effective or close to the application of white carbon black. 2. The product is fixed in size, resistant to stress cracking, toughness of supercharged products, anti-aging, anti-cracking, and wear-resistant function of supercharged products. 3, has excellent acid and alkali resistance, together with flame retardant and anti-erosion characteristics. 4, raise the heat resistance of the product, reduce the reduction rate, warp curvature; sericite can also raise the gas permeability and penetration of the product, thermal expansion. 5, the application of sericite insulation function can be barite powder to improve the electrical function of rubber products. Huayuan Mica also supply Muscovite Mica, Phlogopite Mica and Mica Powder, let us know your request, we will give you the details. Previous: How Does Biotite Mica Differ From Muscovite Mica?